I obviously was not able to finish the OMD3 challenge in July, but I’m still going to get as many up by the deadline on the 5th as I can. There’s a good chance I won’t get all of the remaining prompts done, but I’m going to try my best. Anyway…I’m from Florida, so summers for me are typically full of thunderstorms. But as much as it rains here in England, it doesn’t actually storm very often. In fact, I’ve lived in England for nearly two (non-consecutive) years now, and I only heard thunder for the first time at the beginning of July. I got so excited, I was legitimately freaking out (in a good way). I threw my curtains open and turned my lights off and just sat there staring at the rain and grinning every time lightning forked across the sky. 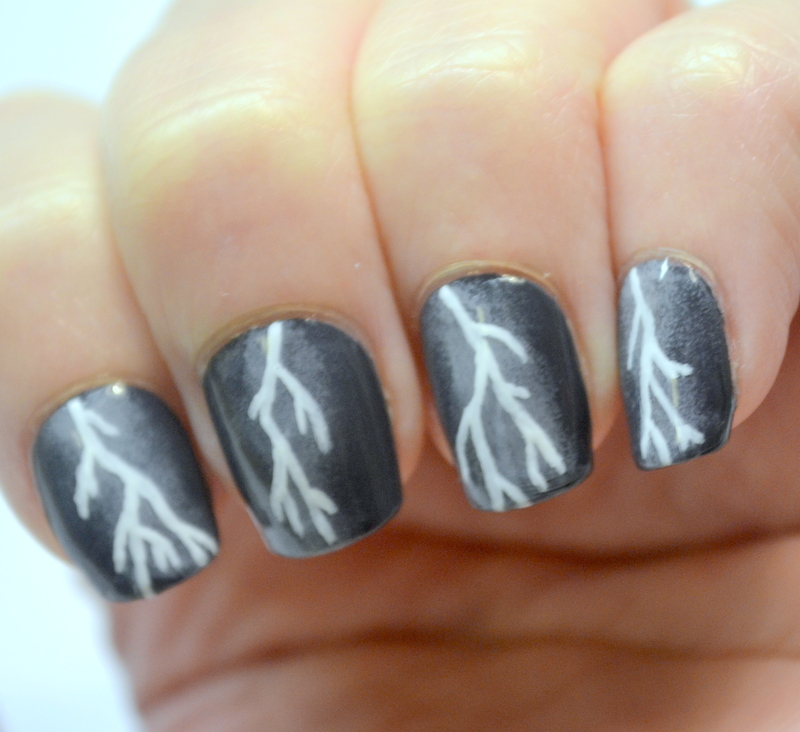 Fun fact: This was actually the first time one of my British friends had ever seen forked lightning. 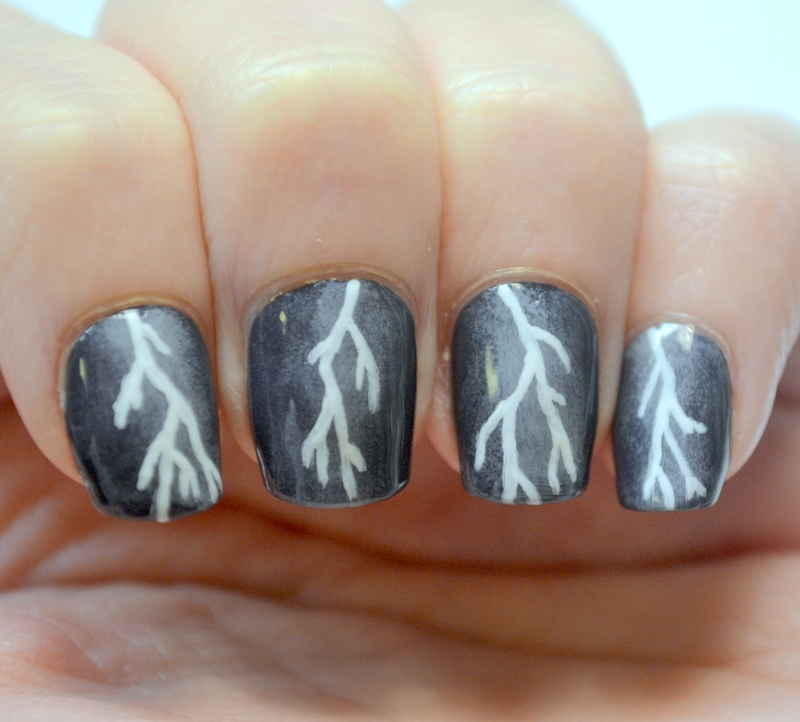 Anyway, lightning nails were sort of the obvious choice for my weather nails. I like them. They’re nothing fancy, but they still look good. 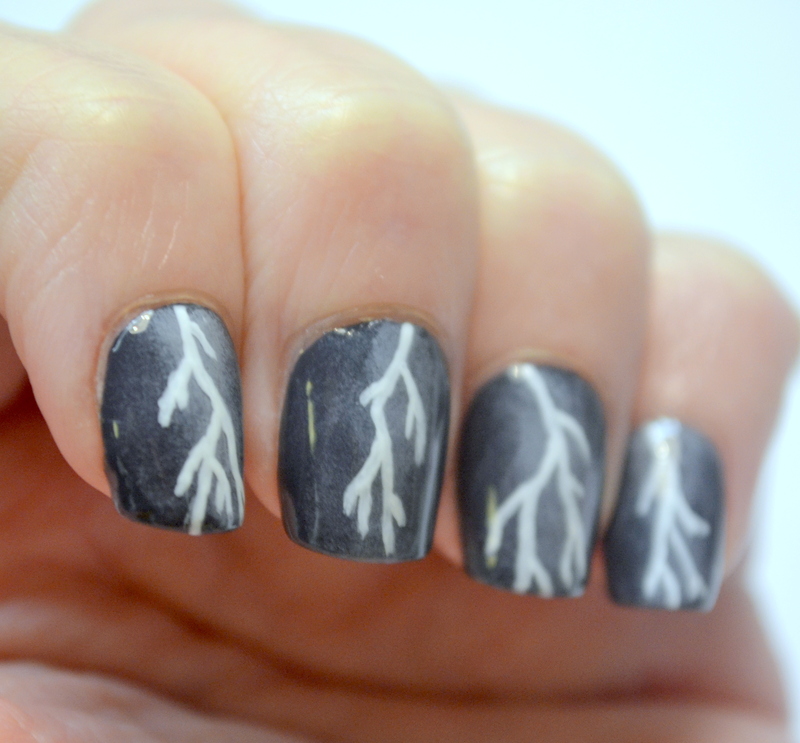 They’re definitely better than my last two attempts at lightning too, which were for my Mjolnir nail art and for the OMD2 challenge Outdoors prompt last year. Neither of those were very good.